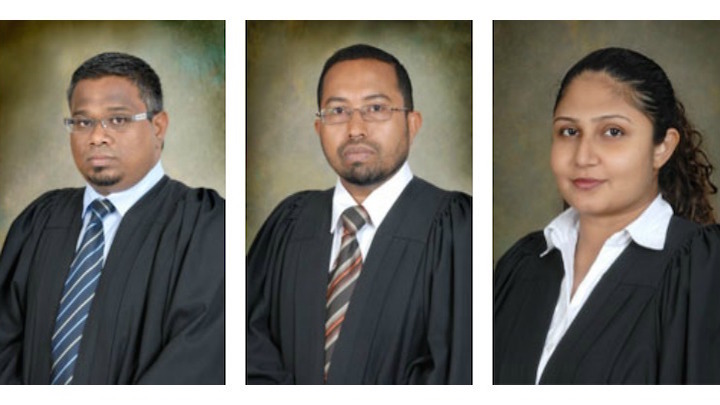 The Supreme Court has transferred three High Court judges to the southern branch of the appellate court. 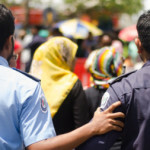 Amendments brought to the Judicature Act in December 2014 divided the nine-member High Court bench into three branches with three judges each. Two regional branches were to be set up in the north and south with the main branch in Malé. The regional branches will only hear appeals of magistrate court verdicts while only the main branch in the capital can decide on challenges to laws and regulations. The opposition has described judges’ transfer to the regional branches as a demotion, and said it will allow the Supreme Court to transfer judges it is not happy with to the regional branches. The apex court issued a resolution today stating that Judges Abbas Shareef, Shuaib Hussain Zakariyya and Azmiralda Zahir have been appointed to the southern branch. The appointments were made with the unanimous consent of all five Supreme Court justices at a meeting last night. The southern branch is located in the Maradhoo ward of Addu City while the northern branch is to be set up in Haa Dhaal Kulhudhufushi. All three judges transferred to the southern branch were appointed to the High Court bench in 2011. Judges Abbas and Shuaib are also amongst the five-judge panel currently hearing the appeal of former defence minister Mohamed Nazim. It is not yet clear whether the pair will be removed from Nazim’s trial. The controversial amendments to the Judicature Act voted through in December by the pro-government majority in parliament saw the dismissal of former Chief Justice Ahmed Faiz Hussain and Justice Muthasim Adnan. The Judicial Services Commission (JSC) on June 8 appointed two criminal court judges, Abdulla Didi and Sujau Usman, to the high court. 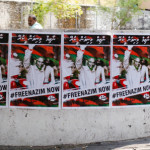 The two had been part of the panel that had sentenced Nazim to 11 years in jail on weapons smuggling charges. They had also sentenced former president Mohamed Nasheed to 13 years in jail on terrorism charges. Both trials were widely criticized for apparent lack of due process.